Love in the Wild: canceled or season three? It looks like NBC has lost their affection for Love in the Wild. The series won’t be coming back this summer, isn’t part of the 2013-14 season schedule, and has been dropped from the network’s website. 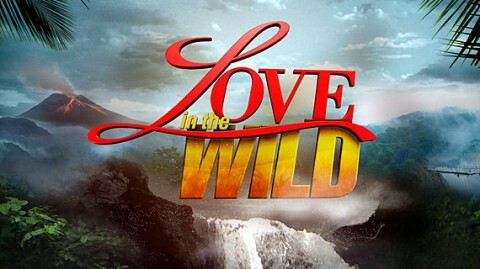 Hosted by Darren McMullen (season one) and Jenny McCarthy (season two), Love in the Wild ran for two years and 16 episodes. In the series, 10 men and 10 women are paired into couples and compete in challenges together. The winners spend a night in a resort together and then, the next morning, new partners are chosen. In the end, one couple ends up winning a trip around the world. What do you think? Do you like Love in the Wild? Are you hoping that it returns some day? Please bring this show back! it has had the most success with marriages than the Bachelor, coupled, and any other dating show out there. It was like survivor meets the bachelor. It really pushes the contestants to the limit and shows their true colors, so that their counter part knows what they are getting themselves into. Both season winners ended up getting married. Come on now, that is 100% success!! Bring it back!!! It was an amazing show!